This 5-lecture series is presented on Wednesday evenings from 6-7pm beginning January 16 and running weekly until February 13th. Fee: $5 for each individual lecture, at the door. Dr. Murphy will lead participants in a visual survey of this land we call home, from the era of the earliest European explorers to today’s cosmic pioneers who continue to expand our concept of landscape. You will learn of the individual artists who informed our view of landscape, and the ways artistic progress echoed our changing perception of nature as it is, and as we would like it to be. January 16: A New World: From Dogma to Discovery-Advances in map-making and pictorial art in Europe lead to the accidental discovery of the American continent. 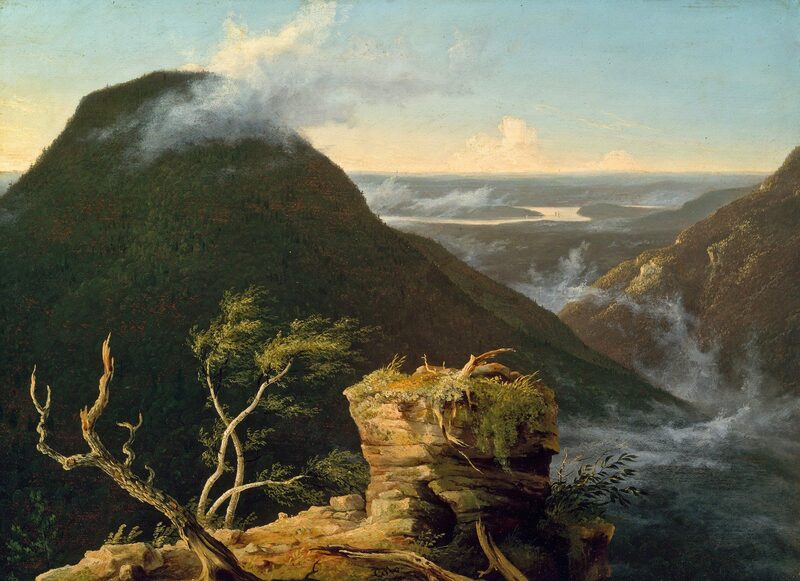 January 23: The Earthly Paradise: Thomas Cole and the Hudson River School-An English artist celebrates the unique landscape of America, and poses questions about preservation and development. January 30: The Range of Light: Luminism, Impression and the West: Home-grown experiments in capturing light and European influences; painting and photography document expeditions to the uncharted frontier. February 6: The Modernist Vision: Pictorialism to Photo-Realism-Photographers aspire to be accepted as artists, eventually changing the art world itself; Ansel Adams changes how Americans see their own country. February 13: A Pale Blue Dot: Entropy, Ecology and Beyond-A survey of modern earthworks and landscape-based art projects; the cosmic landscape seen from planet earth.